Growing up in Baltimore as a sports fan, Johnny Unitas and Frank Robinson were my two athlete “heroes.” In later years I rubbed elbows with Unitas from time to time and found him most gracious. He and I had a very good relationship and he told me on more than one occasion that if he were to ever become a General Manager he would give me a very high position in his “administration,” perhaps even Assistant GM. A story along those lines: one day I was walking past his office and stuck my head in to say hello. I noticed a baseball cap on his desk I had never seen before with the letters “CR” on it. I asked Frank, “Cedar Rapids?” He said, “No, Colorado Rockies.” I asked, “Are you going somewhere?” Frank replied, “No, but if I do I’m taking you with me.” You have no idea how amazing I felt after he said that. 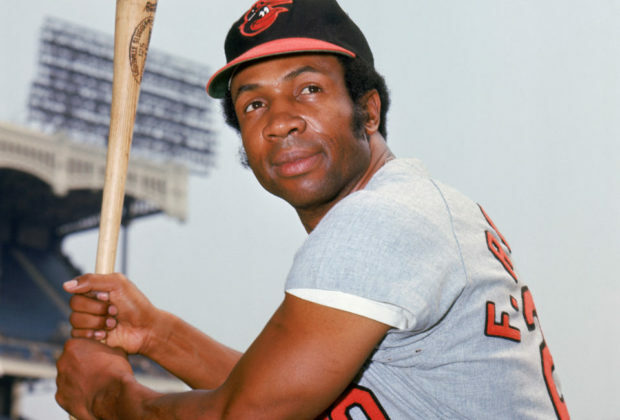 From culturevie.com a picture of Frank as a player with the Orioles. This is the Third Edition of Total Baseball, a baseball encyclopedia. That is Frank Robinson’s signature on his entry. He was not keen on signing autographs and I only asked him twice in the many years I knew him. Thanks for everything, Frank. 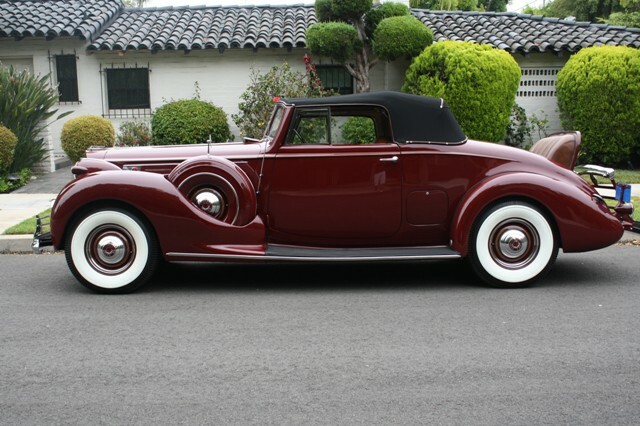 From vaultcars.com a picture of a 1939 Packard Twelve Roadster. This was the last model year in which Packard offered a 12-cylinder engine. This is a link to an interesting article from howstuffworks.com about the Packard Twelve and the company’s competition with Cadillac. Packard’s V-12 displaced 473 cubic inches and was rated at 175 HP. I’m almost certain that 56packardman likes this car. What do the rest of you think? OK, so it wasn’t as cold as here this morning as in Minneapolis or Chicago. Still, Arizona sounds better to me everyday.